So! You have decided to take the big leap, start building equity for yourself and stop paying for another persons mortgage! Below you will find a basic guide to the home buying process and what you can expect in the typical transaction; Let's get Started! (1) The first thing that should be done is to contact a Mortgage Specialist to get a pre-approval. The logic behind doing this first is to see exactly where you are at in the financial area and be able to set a reasonable budget. Some information you can expect to need will be: a job letter, proof of income, listing of your assets and liabilities among other items. (Your chosen specialist will inform you of what else is needed) Aside from learning the “lay of the land” is a Mortgage Specialist can hold a mortgage rate for 90 – 120 days with no obligation and FREE. This will give you the security that for that period should the mortgage rates rise your will still be held temporarily while you are making your purchase. (2) Select a realtor to guide you through this process… Using a realtor to buy is at no charge to the buyer. Some of the benefits to having a realtor in your corner is they receive the new listings BEFORE THE ARE ON THE PUBLIC WEBSITES, have bought houses before do so are used to the ebb and flow of a real estate transaction and are an extra set of eyes looking out for you; making sure your purchase goes smoothly. (3) Once you and your realtor have teamed up discuss what you must have and what you really don’t want in your purchase. Other aspects to look are are what are your future plans? Do you have plans for children? Are you current children leaving the house soon or starting a new school? Is there anything in particular you would like to be near such as mass transit or your favorite coffee shop or pub? Do you work shift work and desire to be near a 24 hours grocery store? What are the reasons for your move? Just getting into the market for the first time? There are many wants, don’t wants, reasons, etc. The more specific you are and more information you share with your realtor the more tailored your search your options will be. As you search with your realtor your tastes may change so you will refine what you are looking for and yet again narrow down the options to find the “cream of the crop” for you. (4) Upon finding “the one”, your realtor will collect comparables that have sold recently to help deduce the current market value of your potential new home, go over the purchase contract with you, and discuss strategy for negotiations. It is also to remember that terms and dates are just as important to sellers as the price. (5) After your offer to the seller has been accepted we are ALMOST finished! There will many times be subject clauses. These are terms and conditions for the sale which many times include giving the buyer time to perform an inquisition of the property to learn exactly what they are purchasing. Some of the common clauses are a Property Disclosure Statement (filled out by the current owners), Title Search (to makes sure the title is clear of liens etc. ), Review of all strata documents and bylaws, an Inspection Report from a 3rd party inspector (not mandatory but HIGHLY RECOMMENDED), and getting a final approval from a lender for the accepted price of the property. (6) Once you are content and confident in what you are investing in, you will remove the subjects and provide your deposit by way of bank draft or certified money order to secure the property. This deposit is usually required right after you remove subjects. (which is generally 7 – 10 days after you have had your offer accepted by the seller) This deposit will become part of your down payment. (7) Your realtor will now forward all the completed documents to the Mortgage Specialist and Notary Public/Lawyer. This will ensure that your money is accounted for and ends up with the rightful parties to the contract and that the title is legally and properly transferred to your name. This will happen on what is known as the “Completion Date”. (8) A couple of day prior to the Completion Date, you will be required to meet with your Notary Public/Lawyer to sign the transfer papers and provide them with a bank draft for the outstanding balance. The balance will include the remainder of the down payment required, legal fees, tax adjustments, property transfer tax (omitted if you are a first time buyer), and any other fees that were explained by your Notary Public/Lawyer. (9) Completion Date, this is the date when your purchase is registered in your name and the funds have been processed and transferred. 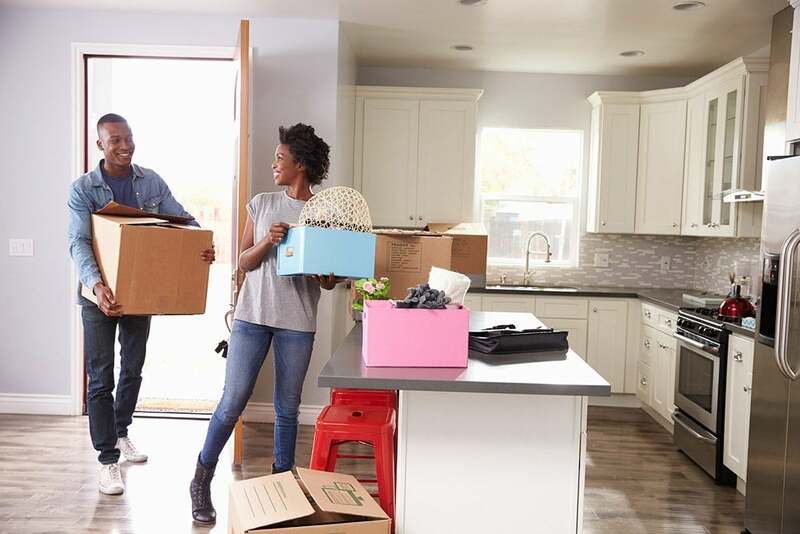 (10) Possession Date, this is the date (usually 1 – 2 days after the Completion Date) that you receive your keys and you are able to move your stuff into your new home! Enjoy!